I am happy to share my quilt, Celebrate, with you today. You may have seen sneak peeks of this darling top on Social Media, but today is the final reveal. I mentioned a few months ago that I design for a new company, Honest Fabric, and this is one of those designs. 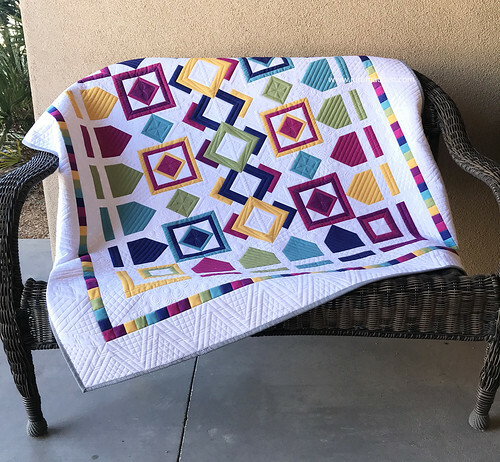 Right now, until tomorrow, you can get all of my designs at 25% off by using the code, ILOVEJM25 during checkout at Honest Fabric. 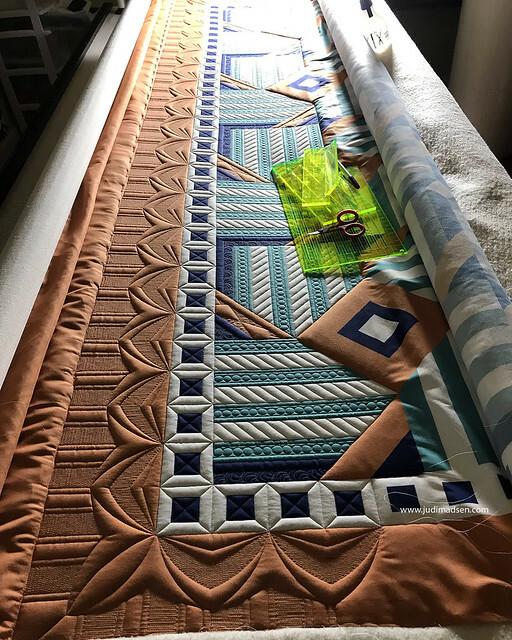 I talked a lot about how I feel quilting with polyester fabric in this post and this one, so check those out and then come back and finish reading about my Celebrate quilt. 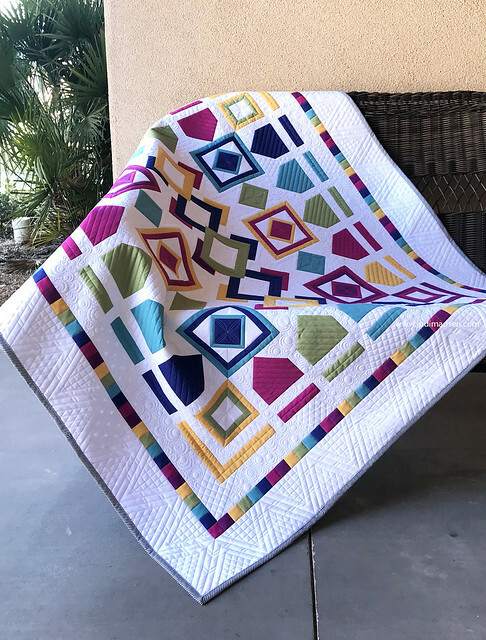 I really spent time marking out this beautiful quilt top using my QuickMark Assist ruler - I had fun coming up with several designs and the borders turned out to be my favorite part of the quilt. I measured out 4 inches from the edge of the rows of squares to make the border even, my QuickMark ruler was perfect for that measurement. The quilt that I quilted is the Celebrate Fall White, the one that isn't quilted is the Summer White panel. Both colorways are totally fun and there are 9 colors to choose from. 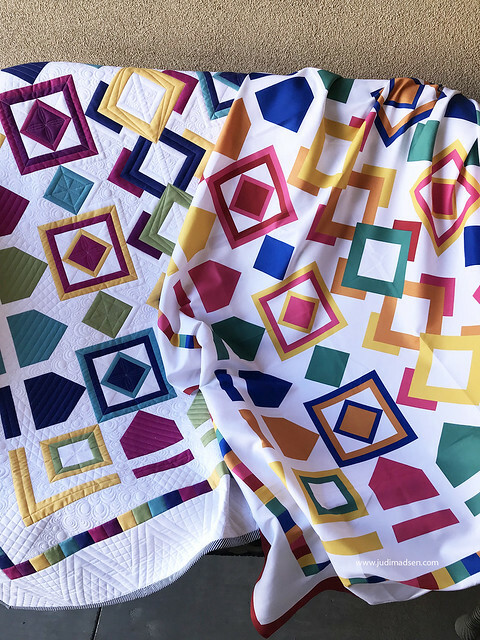 Which one will you quilt? 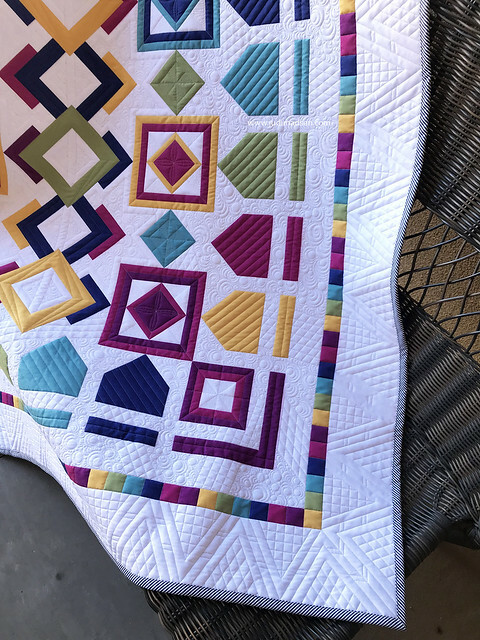 The quilting is free-motion with a little ruler work and a whole lot of fun! I used MicroQuilter thread for the top, I love the thinness of this thread. Minky as backing for the win! 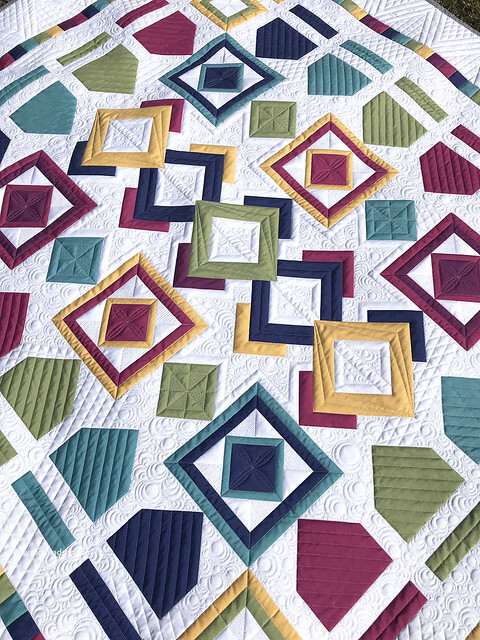 This quilt top is so darling and with the minky, it is super soft - even with all my quilting. This is my current project, my Magic Windmill Orange panel, just a little sneak peek for you. I am absolutely loving it so far! 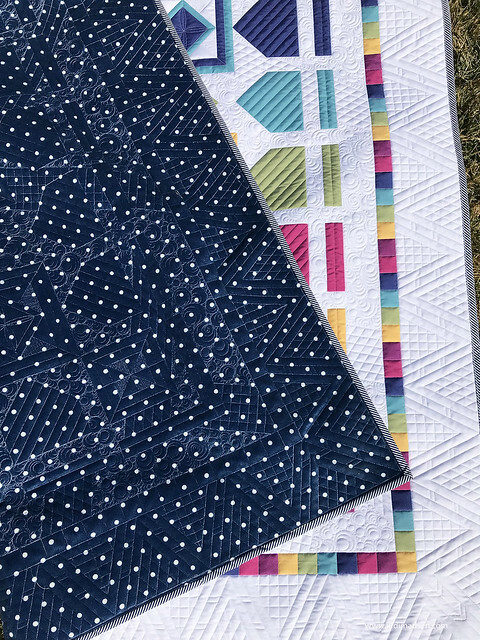 Stay tuned for updates and don't forget to go and get a quilt panel and start quilting! I cannot wait to see what you create! I have also added all my Green Fairy Quilts patterns in PDF form on my website, check them out here and use the code DIGITAL to get 20% off your order until March 4th.